With the US opting out of the Paris Accords on Climate Change, many have turned their focus to China to spearhead efforts to curb green house emissions and move from fossil fuel to renewable energy. The potential for growth in the latter in China is usge says a British Petroleum Energy Outlook report for 2018. The report says that not only is reliance on coal as a major energy source declining in China – forecast to fall from 62 per cent consumption in 2016 to 36 per cent in 2040 – but it will also account for 31 per cent of the earth’s renewable energy consumption by the same year. The UN has commended China for leveraging decreased manufacturing costs and increased investment to boost trade in renewable trade products. In addition to curbing the use of vehicles and applying stricter pollution controls to construction sites and those that use coal as an energy source, the government is fast-tracking the manufacturing of “green” cars. In 2017, nearly 800,000 such “green” vehicles were sold on the Chinese market. “New energy vehicle production jumped 53.8 per cent to 794,000 units last year, up 53.8 per cent from the previous year,” the China Association of Automobile Manufacturers (CAAM) said. This comes as the Chinese government seeks to adopt a two-tier approach to environmental safety and boost its automotive industry. 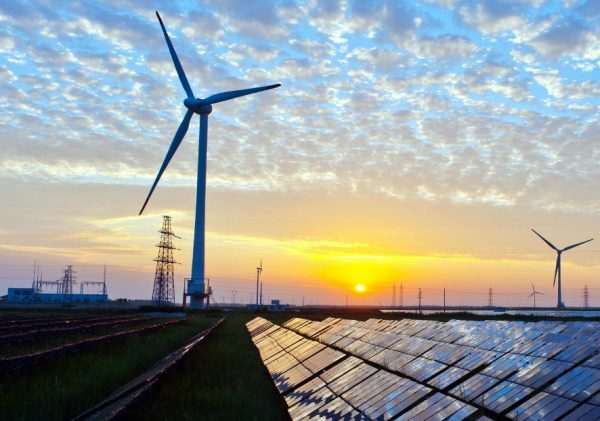 The New Development Bank (NDB) launched by the BRICS countries has been part and parcel of the bloc’s drive toward clean and renewable energy. In July 2016, it issued its first bonds worldwide to raise funds for clean energy projects in member states.